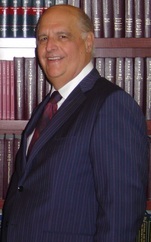 Since graduating from the University of Miami Law School with honors and being admitted to the Florida Bar in 1968 after having achieved the highest grade in the State on the bar exam, Alan E. Weinstein has concentrated his litigation practice exclusively in the areas of marital and family law and criminal defense in state and federal courts. His experience includes handling criminal matters in at least 40 jurisdictions throughout the United States, and many complex, high-net-worth dissolution of marriage cases. Mr. Weinstein has frequently been profiled in various magazines and newspapers, and has appeared on Nightline regarding his creative use of the first post-traumatic stress disorder defense in the State of Florida. He has been selected annually as a top lawyer by the separate peer review processes of the South Florida Legal Guide, the South Florida Business Journal and Florida’s Super Lawyers, and has been AV® Preeminent™ Peer Review Rated by Martindale-Hubbell®, the highest recognition possible in the legal industry for his professionalism and ethics. He is a past president of the Florida Criminal Defense Attorneys Association and the past treasurer of the Florida Association of Criminal Defense Lawyers. He is a member of the criminal and family law sections of the Florida Bar, the Family Law Inns of Court, the National Association of Criminal Defense Lawyers and the White Collar Crime Committee of the American Bar Association. Mr. Weinstein is a former chairman of a Florida Bar Grievance Committee, and has been actively involved in many community and charitable organizations. The Law Offices of Alan E. Weinstein, LLC serves clients in Miami and throughout Miami-Dade, Broward and Palm Beach Counties in Florida, as well as throughout the United States.